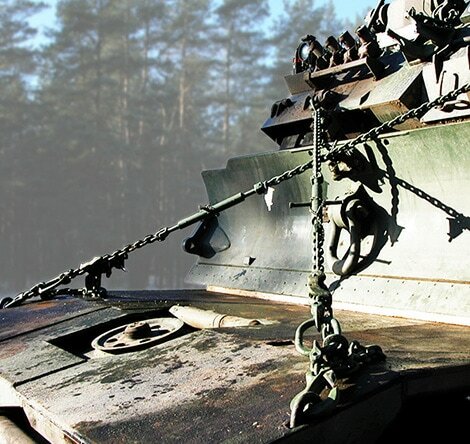 We provide innovative chain solutions to defence industry challenges. Our standard product range is extensive, providing solutions for broad and niche applications. We also design and manufacture specialised solutions for the local defence industry. These solutions offer outstanding strength, with less size and weight than competitor products. Our durable solutions are designed by engineers for ease of use and transport in the toughest of conditions. Ergonomic design and improved system weights make our products easier to use and maneuver, without compromising strength. We incorporate modular system components, so that transportation is simple and space effective as well. These clever design features complement RUD Australia’s exceptional quality, ensuring our tough chain solutions can be trusted even in the harshest conditions. 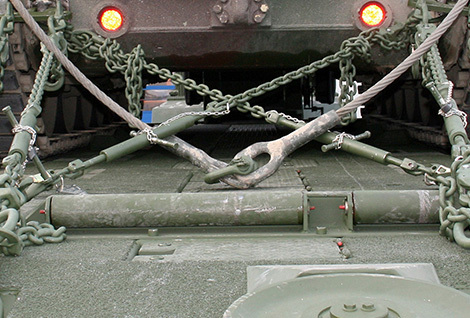 We specialise in high-quality chain solutions for safe lifting, vehicle maintenance, tyre traction and load securing. We rigorously test all our products to ensure they meet our proud standards for quality. Our work also meets the exacting standards required by the defence industry. RUD Group proudly supports defence organisations throughout the world, including the North Atlantic Treaty Organisation (NATO). We comply with the quality control systems established by ISO 90001, ISO 14001 and AS 4801. RUD Australia helps our Defence Force maintain high performance in challenging conditions. download our complete guide opposite. The Australian Defence Force has a range of large and heavy vehicles, like the Bushmaster PMV (Protected Mobility Vehicle), in their fleets. 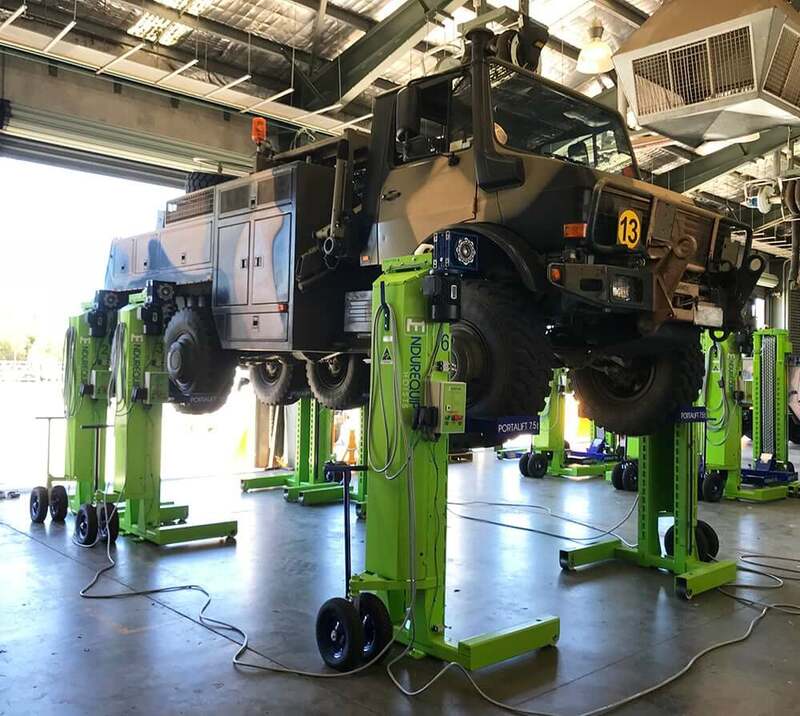 The diversity of the vehicles, as well as the unique operating environment of defence force workshops, required a specialist vehicle lifting system. 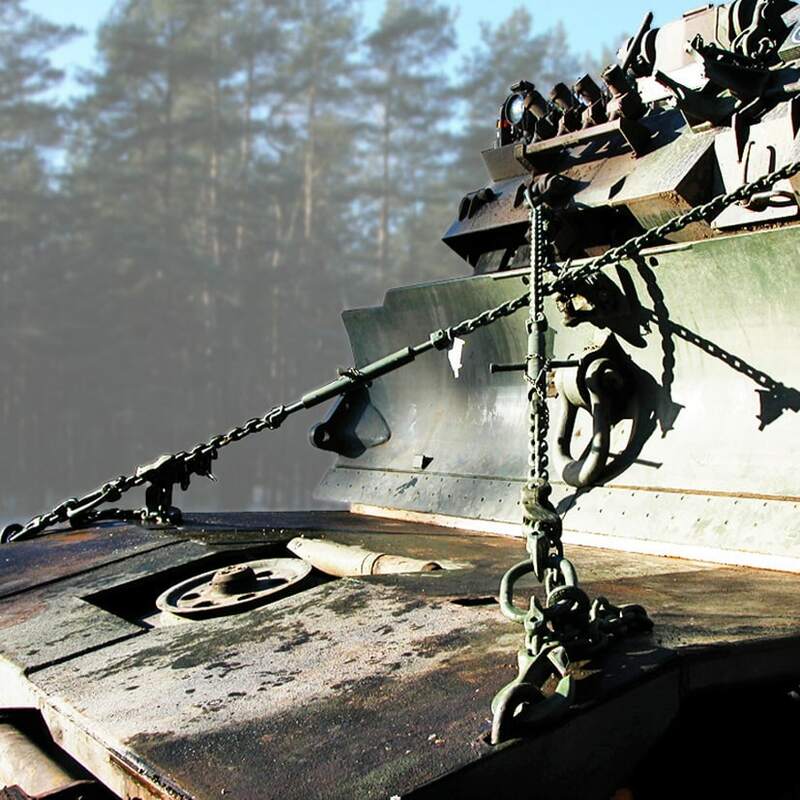 Defence forces encounter a range of unique materials handling challenges. While serving in the defence forces has inherent dangers, risk is managed seriously and proactively. Reducing the exposure of troops to unnecessary risk is a priority for defence organisations. 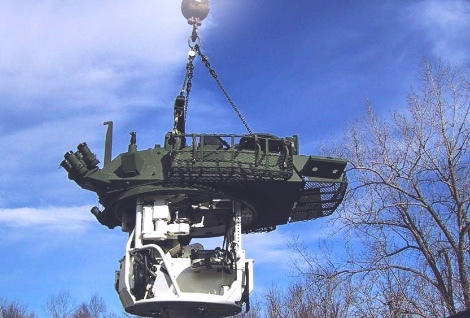 Learn more about how RUD Australia helps defence forces maintain high performance in challenging conditions.